Small it might be, but the town of Trinidad on Cuba’s south coast is the island’s second most important visitor destination after Havana. 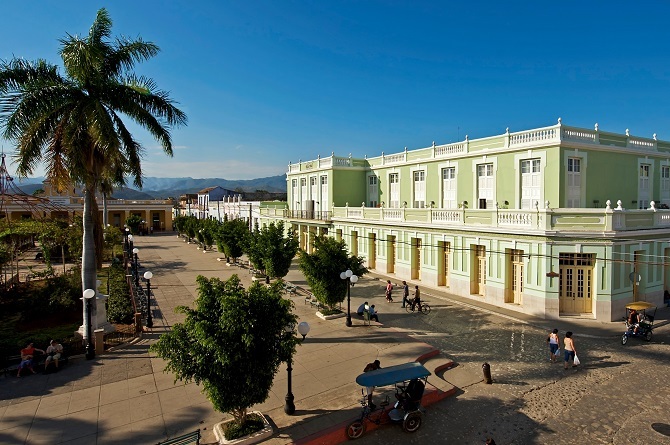 Not only is Trinidad one of the most perfectly preserved colonial-era towns anywhere in the Americas, it is also a great base from which to explore numerous other nearby attractions – ie the Valley of the Sugar Mills, Sancti Spiritus, Cienfuegos, the Escambray Mountains and Santa Clara. 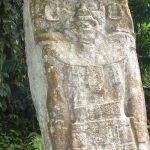 Despite all this, there are still just 5 hotels in Trinidad town and 3 at nearby Ancon beach. A new, luxury hotel – Pansea Trinidad – is (very slowly) under construction but, until it eventually opens, the best hotel in town is undoubtedly the Iberostar Grand Trinidad. Built in a sympathetic, low-rise, colonial style, this relatively modern hotel blends in perfectly with its surroundings and is just a short 10 minute stroll from the Plaza Mayor at Trinidad’s heart. 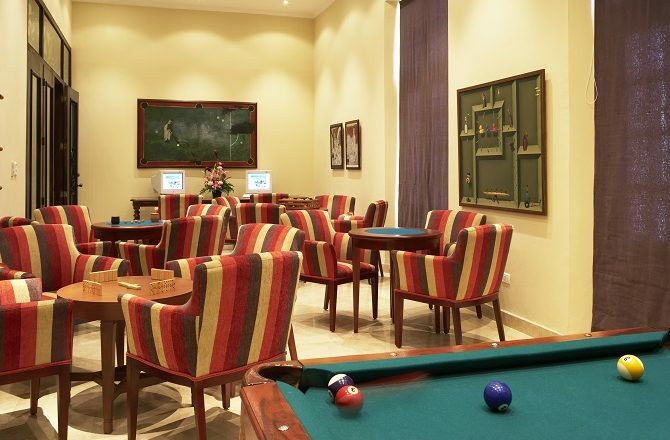 There are just 40 rooms in total, 4 of which are Junior Suites. 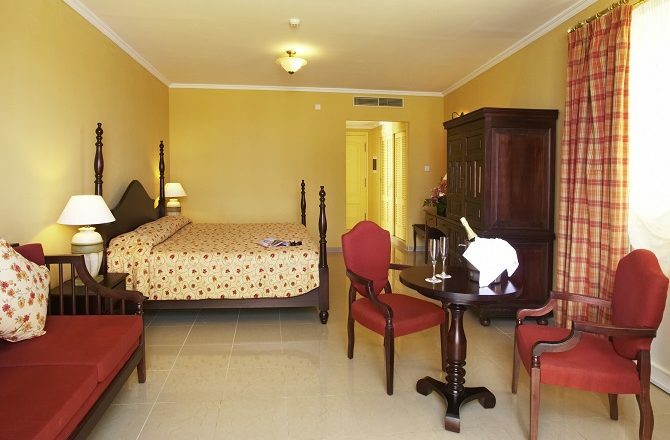 Even the standard rooms are very spacious and beautifully appointed so upgrading isn’t really especially worthwhile. A small number of the standard rooms come with balconies and are always worth booking (which you can do for a supplement). 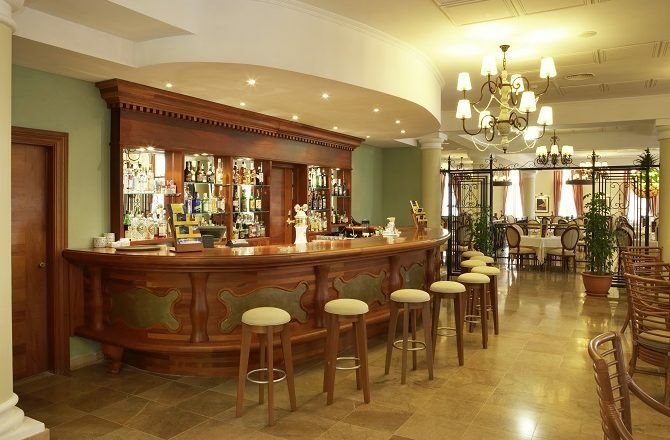 On a slightly more disappointing note, the reception area at the Iberostar Grand Trinidad can be slightly stuffy while the hotel restaurant is disappointing. 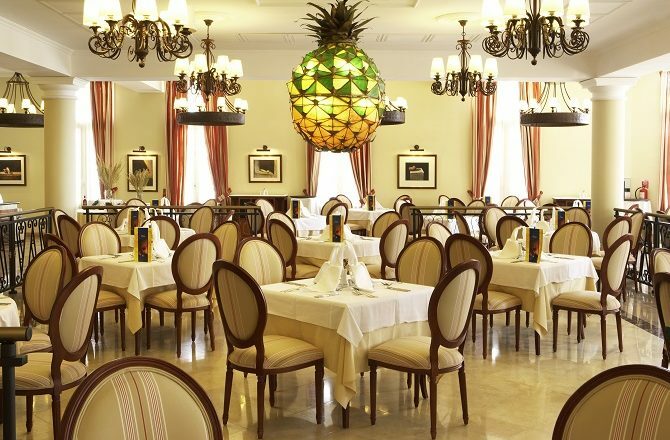 A buffet breakfast is included in the price at the hotel and it feels as if the restaurant was designed with this is mind; an overly large, dark, canteen style restaurant with little in the way of charm, style or romance. The standard of cooking can also be disappointing even though prices are the highest in Trinidad. However, there are so many places to eat and drink in Trinidad as to make the above comments somewhat irrelevant – eat out! 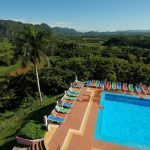 Due to the huge shortage of hotel accommodation in Trinidad, rates at the Iberostar Grand Trinidad are amongst the very highest in Cuba, especially during the high season between November & April. Rates are lower in May, June, September & October. Despite these high prices, anyone planning to stay at the Iberostar Grand Trinidad during the high season will need to book many months in advance. If you plan to visit Trinidad over Christmas & the New Year you should plan to book in January; if you plan to visit in November or early December you should book before the end of April; if you plan to visit between January & April you should look to book no later than the end of August.